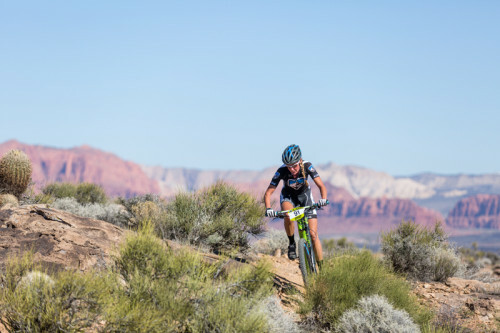 This year’s True Grit Epic NUE Pro 100 race was as exciting as it gets with a close race between front runners Keck Back (VA) , Cary Smith (WY) and Josh Tostado (CO) . Josh and Cary are seasoned True Grit racers and have both been on the podium at this race in the past. But for first place champ, Keck Baker (Cannondale), this was not only his first time on the True Grit Epic course, but his first race in the desert Southwest. In a post-race interview he noted the challenges of the wide open terrain, vertical exposure, and technical aspects of the course. Despite these challenges he was able to pull ahead to finish in the lead with a time of 6:52:57, just 6 minute head of second place Cary Smith (the Hub), and full 24 minutes ahead of third place winner Josh Tostado ( Santa Cruz, Shimano, Swiftwick). The stakes were also high in the Single Speed 100 race, where the top prize was a Lauf Fork, valued at $1000, going to the champ. In the end it was Gordon Wadsworth (VA), 2014 NUE Single Speed Champ, who claimed the victory with a time of 7:14:07. Close behind was long time True Grit Epic racer AJ Linnel (ID) , ironically the 2014 NUE 2nd place series winner, with a time of 7:29:59. Rounding out the podium was Mike Montalbano (NJ) with a time of 7:34:16. For a true play by play of how the top races played out, check out http://www.mountainbikeradio.com/the-last-aid-station/true-grit-epic/. For full results see this issue or http://truegritepic.com/results/ . 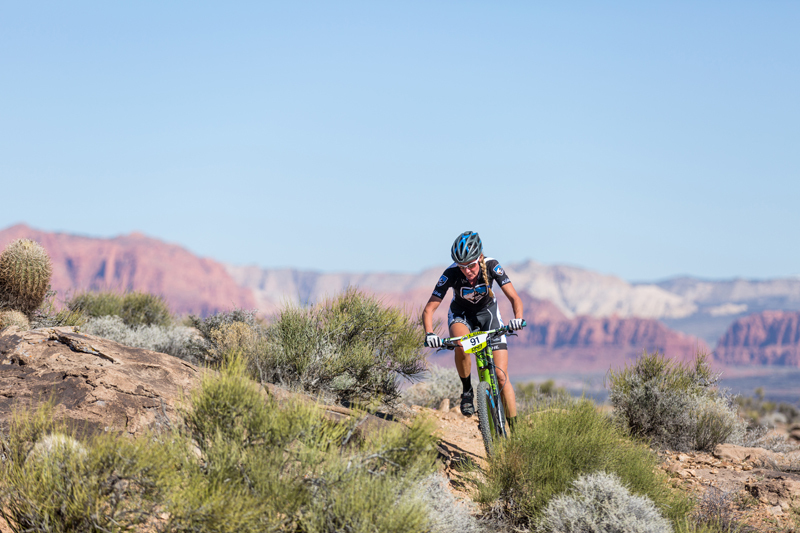 For the women's pro race, see the story by Amanda Carey in this issue. Men's 100 mile winner Keck Baker.